I hope you are all doing well. Today's blog is going to be another monthly favourites so this blog will probably be kind of long, so let's get into it..
Also I want to quickly state that with it being Christmas and New Year time I've been busy so busy that I haven't had time to take pictures of this months favourites blog post but if you go onto my instagram I'm sure there will be pictures of all the products mentioned on there. I've mentioned this before in my "Liverpool Blog Event" blog post and on my instagram but I am going to mention it again because it really is so amazing. I received this in the event goodie bag for free and have been using it literally every day since, and it's really been worth it. I've had bad acne in my teenage years as I've mentioned a couple of times in the past and towards the end of 2015 it was starting to get worse and worse. I'm so glad I was given this in my goodie bag because it really has changed my life, my skin is feeling so clean and calm and beautiful. I would highly recommend this to everyone who has dry skin or acne because it's really helped me so much. I am in love with Ciate's nail polish is shade 'Tweed'. I got it in my Decemeber Glossybox and I've been wearing it above the Barry M Gelly Nail Polish I mentioned above. It makes me nails feel and look, not just Christmas-like but also a little bit rocker-vibed. I adore it! I bought this only in shade 'Make A Statement' (number five), which is a beautiful red colour, at first because as it's matte I didn't want to waste my money and end up hating it. Since then I've bought another one, in shade "Model Behabiour" which is a pretty pink colour (number four), and I have to admit these are the best I've tried all year. I've said over and over again how much I love my Ted Baker Lip Crayon's in the past but these are so much better! Just like the say they have a smooth and creamy texture but they also last a really long time when wearing. Barry M have brought out five shades in this amazing product and they are all creamy, valvet-matte texture glides of smoothness. Another awesome product I received in a Glossybox. I love what it says on the back of this product: "The Enhancing Serum Base is your dose of extreme youth in just 20s! Through its compound made with ultra moisturising and antioldont active ingredients, your skin becomes supple and comfortable again to be always beautiful whatever you environment!" After using this product for a while now I couldn't agree more! This is another product that has really been helping my acne so much, it drys quick and easy and doesn't leave my skin sticky or red. I've been using this morning and evening in December just before putting on my moisturiser. I love it. I never ever thought I would find better than the Garnier Skin Naturals Micellar Cleansing Water (click the name to read my review on the product) but I really have with Bioderma Sensibio H2O Solution Micellaire! I've been putting a few drops of this onto a cotton wool pad and wiping off all my makeup and the dirt that my face has collected in the day time whilst wearing my makeup. It's helped me out so much and I love this product! You really do only need a few drops on a cotton wool pad to get rid of all your makeup and dirt at the end of every day. Sensibio H2O is the 1st and only dermatological micellar water perfectly compatible with the skin: its fatty acid esters, the constituent elements of micelles, are similar to the phospholipids of the skin cell membranes and naturally help rebuild the skin's hydrolipidic film. Lip scrubs are one of my favourite beauty products to use, and Lush Cosmetics ones are my favourite of all time. Lip scrubs are also one of my essentials for a pamper night too. Lush Cosmetics' Santa lip scrub has to be my favourite I've ever tried. Just like our face, our lips need some loving too - lip scrubs are great for this! Santa lip scrub from Lush Cosmetics is obviously exfolating but is also moisturising and leaves my lips feeling like brand new lips. As you can tell by it's name, the Santa lip scrub is a Christmas special edition for Lush Cosmetics which tastes and smells of cola and cherries. I love it! *Spoiler Alert* Oh My Gosh. Fatboy. Arthur. Has passed away... well to be fair he was murdered by Ronnie Mitchelle.. or was it Vincents mum really? She basically knew and done nothing about it. Fatboy hated small, dark spaces as they made him scared as his mum used to lock him in them and how horrible to die locked in a dark, small cars boot. I'm gutted Arthur has had to leave Eastenders but I do wish him all the luck as an actor in the future. On a happier note - JACK IS BACK?! I literally let out a squeal when he walked into the club. Jack is amazing and is rumoured to be staying for a long while. The story behind me buying this Starbucks Coffee is that, we ran out of coffee at home and Phil and me were in our local Tesco supermarket doing our food shopping when we seen this one was less than half price (we got it for £1 instead of £3.50). As I love Starbucks and I love coffee, and I had never tried this before it seemed a little perfect match. You all know how much of a massive coffee lover I am anyway but I have been addicted to this coffee all month now, and our coffee machine is one of my item things in our home. When I do run out of our packet of this coffee I am going to be going out and buying another packet, even if it does mean at full price (which to be honest isn't that pricey really), so I would recommend that you try this stuff if you haven't already and you are a coffee lover. 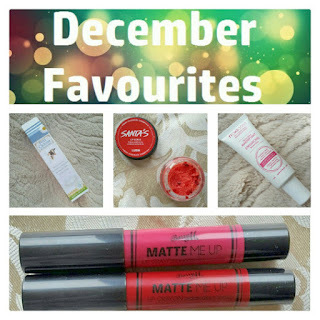 I hope you all enjoyed my monthly favourites this month, if you have tried or own any of these products let me know what is your opinion on them? 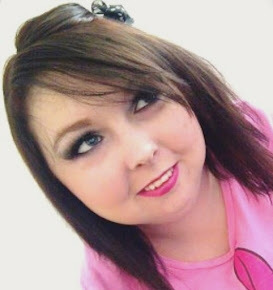 If you would like a full review on a certain product or you want to just give me your thoughts then please do so either by commenting below or by tweeting me. I hope you all have a wonderful day, have a incredible 2015 and have an amazing 2016! I love the Santa Lip Scrub from Lush too!